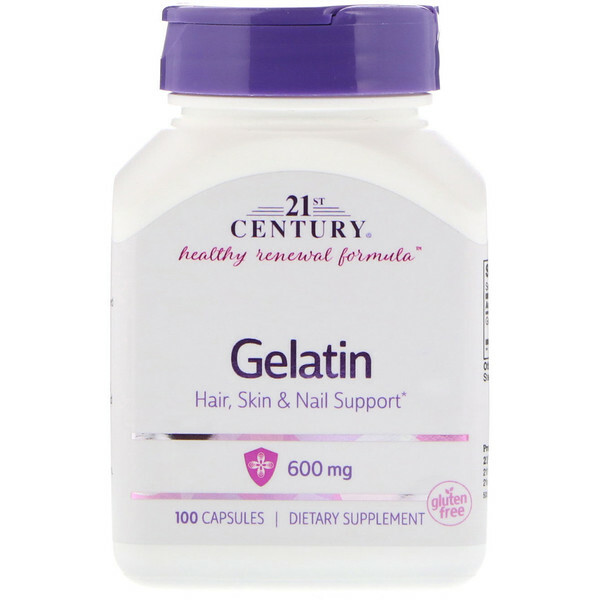 Gelatin supports hair, skin, nails and cartilage. 21st Century Gelatin is the highest quality pharmaceutical gelatin. 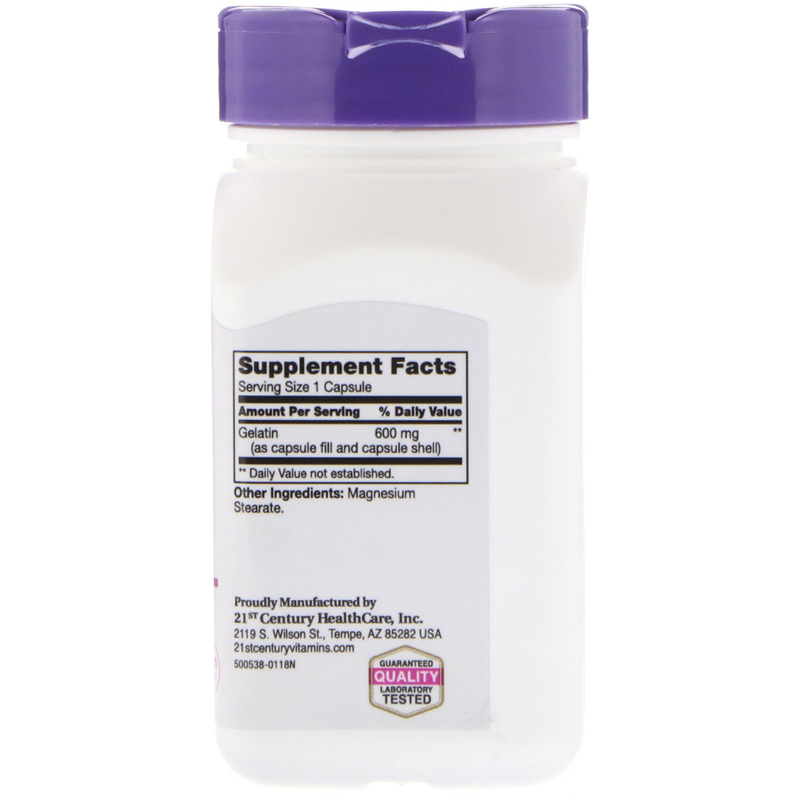 As a dietary supplement, adults take one (1) capsule with any meal, three (3) times daily or as directed by a healthcare provider. Do not exceed recommended dosage. Individual results may vary.